The Labour party is now engulfed by a problem of antisemitism which it refuses properly to identify let alone effectively confront. The eruption of anti-Jewish hostility at the Labour conference left decent people aghast. This followed years of escalating anti-Jewish incidents in the party, causing even non-Jewish commentators to criticise Labour’s “serious and growing” problem of antisemitism. A number of Labour members have now torn up their party card in disgust. Not so Lord Winston, who in a letter to the Jerusalem Post taking issue with my comments on the subject claimed that activists attending conference were not necessarily representative of the party. “I myself”, he added, “seldom need to speak on behalf of Israel in the House of Lords because so many non-Jewish Labour members there are first on their feet to show support for Israel”. Last September, Lord Parry Mitchell quit the Labour Party over what he called the “violent anti-Israel views” of the allies of its leader, Jeremy Corbyn. “I think it’s very difficult if you are Jewish and you support Israel to be a member of the Labour Party,” he said. Clearly, it must be painful for people like Lord Winston and other Jewish party members to try to square their devotion to the Jewish people with their loyalty to the Labour cause. The truth, though, is that while antisemitism is found elsewhere in British society its major influence and growth are on the left. There is something rotten in Denmark, but also something rotten in America and here is the uncomfortable truth. The painful, confusing, disturbing truth. The great threat that we face as Americans and as Jews comes not from the Alt Right but from the Alt Left. Some are violent, rampaging criminals, others wear suits and ties, jeans and t-shirts. Some make no pretense of their disdain for America while others appear loyal citizens. Their tactics are different, but their goals are the same. They do not understand America nor American exceptionalism. We are a dangerously polarized society and have tumbled into a place of binary values that define who and what we are. This cultural divide will also define where we go as a nation. As Americans and as Jews we must pick a side. And though it should be an easy choice it is confusing because the Left claims the moral high ground, wrapped in what they define as tolerance, equality, sensitivity and decency when in truth, their agenda is intolerant, unequal, insensitive and indecent. “We are the champions of all that is good,” they cry out, when in fact they are on the wrong side of benevolence. They are the true bigots. The true oppressors. The true deniers of human rights. The true threat to authentic democracy. Let me provide a simple test to help us figure out what to do when our hearts take us in the direction of what we believe is tikkun olam, when we are motivated to march. To raise our voices. To donate resources in the hope of creating an improved society. There is no better way to distinguish between what is moral and what is immoral. 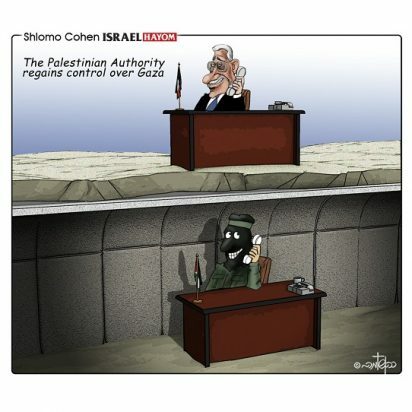 What is good and what is corrupt than in the Middle East impasse between Israel and the Palestinians. Though neither side is without blemish, the difference between the two is huge and provides us the definition of good and the definition of evil. The Palestinians have steadfastly refused generous settlements from Israeli administrations, even the sharing of Jerusalem as capital. They still dream and chant of a homeland, “From the river to the sea, Palestine will be free.” No compromise. The Palestinians provide tens of thousands of dollars to families of terrorists who were killed. They hold parades to honor terrorists who murdered innocent children. They name parks and streets after barbarians who slaughtered entire Jewish families. They have built playgrounds with rubber toys of Jewish body parts for their children to reenact terrorist attacks. And a new strategy recently introduced: The Palestinian Education Ministry will give any student arrested for throwing Molotov cocktails at passing Israeli cars a passing grade in school. Meanwhile, a few kilometers from Ramallah, what does apartheid, genocidal, ethnic cleansing Israel do? She has provided medical attention for countless numbers of wounded Arabs fleeing the bloodshed in Syria. Arabs are voting members of Knesset. An Arab sits on the Supreme Court of Israel. In wars with ruthless enemies, Israel warns, as no other army does, of an impending attack so non-combatants can get out of the way. Arabs enjoy full civil rights. They worship as they wish. They shop alongside Israelis. They set up umbrellas on the beaches next to Israelis. They sit in buses next to Israelis. They are cared for in hospitals next to Israelis. Contrast the two. One is enlightened and civilized. The other is depraved and primitive. And yet, who is vilified by the Left and who is celebrated? Who is demonized by the Left and who is embraced? It is a cliché we have all heard, but it needs to be said here again. “If the Arabs/Palestinians put down their weapons today, there would be peace tomorrow. If the Jews put down their weapons today, there would be no Israel tomorrow.” The Left likes the latter part of the quote and we who sing Hatikvah, eat felafel and go on Birthright, don’t get it. ‘… Decertification … will plunge Iran and the other parties involved in the nuclear deal into a state of limbo. It will prompt all sides to consider what the deal is worth to them, and what further compromises they may be willing to make to satisfy the national interests of the United States, as laid out by the Trump administration…. …Tehran’s broader efforts to dominate the Middle East are also intensifying. From the deployment of its Revolutionary Guard Corps to far-flung corners of the region to the conscripting of Shiite irregular proxies to fight or hold territory in Syria and Iraq, Iran’s footprint continues to grow. [T]he timing is fortuitous. The administration is slated to complete and roll out its Iran Policy Review by October 31st. If the policy lives up to the hints dropped by senior officials, the United States will once again push back on Iran’s malign behavior. If done right, it will do so wherever possible, and by using every pressure point available…. Iranian Foreign Minister Mohammad Javad Zarif on Saturday responded to U.S. President Donald Trump’s announcement of new sanctions against Iran’s Revolutionary Guard Corps (IRGC). “Today, Iranians–boys, girls, men, women–are ALL IRGC; standing firm with those who defend us & the region against aggression & terror,” tweeted Zarif. Trump on Friday said the U.S. would level new sanctions on Iran’s Revolutionary Guard Corps, and vowed to block the Islamic Republic’s financing of terrorism around the globe. In his speech, the president also confirmed he will not certify Iran’s compliance with the 2015 nuclear deal, adding that while the U.S. wouldn’t scrap the deal, it could “leave at any time”. Prime Minister Benjamin Netanyahu on Sunday praised US President Donald Trump’s decertification of Iran’s compliance with the 2015 nuclear deal, saying it presented an “opportunity” to fix the accord and thwart the Islamic Republic’s regional ambitions. Speaking at the start of the weekly cabinet meeting in Jerusalem, Netanyahu said Trump’s decision to not recertify the agreement would help prevent Iran from obtaining a nuclear weapon, which the prime minister said it was on the path to doing under the current accord. “I believe that any responsible government, and whoever seeks to promote peace and security in the world, needs to take advantage of the opportunity that President Trump’s decision has created in order to improve the agreement or abrogate it and, of course, stop Iran’s aggression,” said Netanyahu. The prime minister also praised Trump’s decision to introduce new sanctions on the Iranian Revolutionary Guard Corps, which backs regional terror groups such as Hezbollah and Hamas. European efforts to develop “ironclad” protection against possible fresh U.S. sanctions have so far kept hitting a brick wall, said Nathalie Tocci, director of the Institute for International Affairs think-tank in Rome and also an adviser to Federica Mogherini, the EU’s foreign policy chief. “That’s why so much political capital has been put in to saving the deal,” she said. Saudi Arabia’s reaction to US President Donald Trump’s more confrontational posture toward Tehran was strikingly similar to Israel’s, highlighting the two countries’ common desire for a more determined American effort to counter Iranian influence in the region. On Saturday, King Salman praised Trump in a phone call for his “firm strategy” against “Iranian aggression and its support for terrorism in the region,” the Saudi Press Agency reported. “The king praised the Trump administration, which recognizes the magnitude of these challenges and threats and the need for concerted efforts on terrorism and extremism and its primary sponsor, Iran,” the Agency added. Since Trump’s election, the Saudis had been hoping for a tougher American stand on Tehran, which they view as a great and growing threat to their interests. Europeans seeking at UN to water down criticism of Iran’s rights record. For EU, business above all. 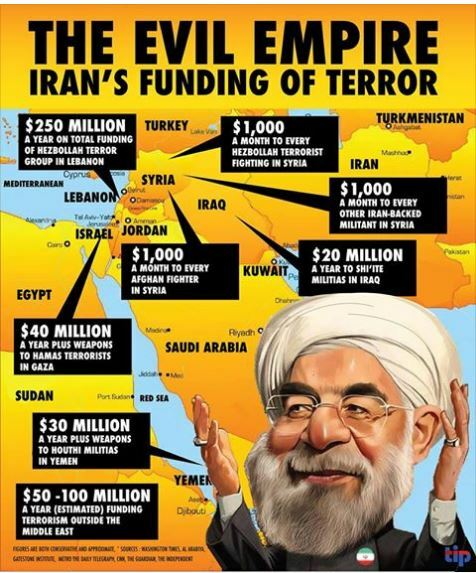 “As President Donald Trump prepares to announce whether he’ll certify Iran’s compliance with the deal to curb its nuclear program, U.S. and European negotiators at the United Nations are on another collision course – this time over the Islamic Republic’s human rights record. The world ‘must also continue to hold Iran responsible for its missile launches, support for terrorism, disregard for human rights, and violations of UN Security Council resolutions,’ Haley said in August after Rouhani threatened to abandon the nuclear deal if Iran faced more sanctions. European allies, including the U.K. and Germany, have stood behind the nuclear accord, saying inspections by the IAEA show Iran is abiding by it. Behind the scenes, some diplomats are trying to find a way to ‘give Trump a win’ by endorsing some of his criticism of Iran while containing any threat to scuttle the agreement, according to a diplomat from a Security Council nation who asked not to be identified describing internal discussions. The second topic I suggested he explore was the idea of rights to land. I dared him to find a single Arab on this planet who would be willing to openly say that the Jews have a legal right to even one neighborhood in all of Israel. Assuming that all of “Palestine” rightfully belongs to the Palestinians and it is recognized as holy, Islamic land – is there one neighborhood to which the Jews have a legal right? Not de facto ownership – because we’re already there and we have more military power – but legal recognition. One neighborhood that is fully and rightfully ours. I can all but guarantee that you will fail, I told him. You Europeans keep arguing with us about a peace agreement that the other side has fully rejected before it has even been formulated. Any agreement consisting of a small Palestinian state on the hills of Judea and Samaria, even if it includes the Old City of Jerusalem, will be rejected at the moment of truth. The Palestinians won’t sign it. Go through the history and see. From the 1919 Faisal-Weizmann Agreement on, they have never agreed to a division of the land. But we, the Jews, are fighting with one another and blaming ourselves for the failure of peace efforts. We weren’t serious enough, we accuse ourselves. We didn’t make a good enough offer. We have countless excuses. Amid its latest attempt at so-called reconciliation with its Palestinian nationalist rival Fatah, Hamas surprised the chorus of its supporters by picking the mastermind of the kidnapping and murder of three Israeli teenagers to burnish its phony image of “moderation.” By doing so, Hamas manages to once again show its true face. The Egyptian-brokered unity deal was initially seen by some as Hamas toughening its jihadist posture in advance of reconciliation talks with Palestinian Authority President Mahmoud Abbas’s Fatah movement. If that were the case, however, what possible benefit to its supposedly new public image would Hamas gain from naming this arch terrorist as its deputy leader? By naming convicted murderer Saleh al-Arouri as its deputy political chief, Hamas promoted a man best known for masterminding the 2014 abduction and murders of yeshiva students Gil-Ad Shaer, Eyal Yifrah and Naftali Fraenkel, and a long list of other terrorist attacks in the West Bank. In the view of Naji Sharab, a political scientist at Al-Azhar University in Gaza, Arouri’s appointment was meant to signal that the jihadist movement will not accept Abbas’s political program of a two-state solution that includes recognizing Israel and accepting responsibility for keeping the agreements signed with it. “Abbas wants Hamas to support his political program, including recognition of Israel, respect for agreements, peaceful resistance and being against violence. But the message here is we can’t make more concessions on the political program,” concludes Sharab. The full text of the agreement Hamas and Fatah announced in Cairo on Thursday was leaked on social media over the weekend. The agreement sought to partially restore the Palestinian Authority’s presence in the Gaza Strip. At a press conference on Thursday and in official statements, the two parties as well as Egypt, which helped broker the agreement, only revealed part of the deal, causing confusion for journalists and other observers. 1) The Palestinian Authority government will be empowered to carry out fully its responsibilities in administrating the Gaza Strip as it does in the West Bank by December 1. While both parties already agreed several weeks ago that the PA would take responsibility for Gaza, they had not previously set a definitive deadline. 2) A PA-formed committee will resolve the employees issue by February 1. While the committee works to resolve the employees issue and after the PA is enabled to carry out its administrative and financial powers in Gaza including tax collection, the PA will pay the Hamas-appointed employees their salaries. The Defense Ministry on Sunday said it has decided to recognize a Jewish man murdered in the Arab Israeli city of Kafr Qassem as a terror victim. The decision to name Reuven Schmerling a victim of terror was made after the Shin Bet security agency said last week Schmerling’s murder was an act of terror, the Defense Ministry said. Schmerling, a resident of the West Bank settlement of Elkana, was found dead in a storage unit belonging to his business in Kafr Qassem’s industrial area earlier this month, hours before the start of the Jewish festival of Sukkot. Police and the Shin Bet, Israel’s internal security service, opened a joint investigation into the murder, looking at possible motives including a work- or money-related dispute. Schmerling owned a coal business in Kafr Qassem, employed residents of the city and had business contacts there. Prime Minister Benjamin Netanyahu pledged Sunday to pave additional bypass roads for settlers in the West Bank, even if it meant skimming funds from the budgets of all the ministries. Speaking at a meeting with ministers from his Likud party, Netanyahu promised to promote a plan for the roads’ construction as soon as possible, an official close to the prime minister told The Times of Israel. the official added that Netanyahu told the ministers that he intended to go through with the project even if it were to require spending cutbacks in other government offices. The comments were believed to be made in response to criticism from Likud ministers and settler leadership over what they perceive as insufficient settlement construction in the West Bank. Not all present at Sunday’s meeting were satisfied with the pledge. “There are 10 billion shekels that the state is not using. The bypass roads are a matter of saving lives. There is a way to solve this and we must do so,” said Social Equality Minister Gila Gamliel. Border and military police officers on Sunday arrested a Palestinian teenager who arrived at a West Bank military court with what appeared to be pipe bomb, police said. Police said the Shomron military court in the northern West Bank was closed following the arrest and that a police sapper was dispatched “to neutralize” the apparent explosive device. Police said the suspect was a 17-year-old Palestinian from the West Bank city of Jenin. The incident came after security forces arrested 15 Palestinians in the West Bank overnight. A “dream team” comprised of minorities, including Muslim Israeli citizens and even a Palestinian, will embark on a trip to the US and Europe on Friday to face activists from the Boycotts, Divestments and Sanctions (BDS) movement. But before ever taking off from Israel, they have already been the target of a campaign of incitement. Reservists on Duty planned to send this team—comprised of two Muslim Israeli-Arabs, a Palestinian, a Druze, a Bedouin and a Christian Israeli-Arab—to elite American and European universities to speak, in fluent Arabic and English, against BDS, denouncing it and the delegitimization campaign it wages against Israel. However, immediately after the unique delegation was made public, several of its members began suffering a spate of humiliations, threats and insults online. “I was called a traitor, and they said my place was in hell,” said Dima Tiya, 25, of Kafr Manda in the Galilee. “Both my father and I were slighted. I’ve been suffering harassment, threats, degradation and mental anguish. I was sent dozens of hateful message through Facebook. Nevertheless, I’m completely at peace with this sojourn to the US. The threats, curses and degradation will not scare me off it,” she stated. “I’m an Israeli and a Muslim who’s pleased and proud of my country. I’m a Muslim and an Arab who isn’t worth any less than those cowards hiding behind their keyboards. I intended to go to the police and make sure all of these net bullies are investigated, then we’ll see who’s a hero,” she said defiantly. On Rebecca T. Stern’s to-do list when she returned to campus this fall was reviewing her class schedule, buying last minute school supplies and scrolling through the Students for Justice in Palestine Facebook page. The 68-page document, disseminated primarily as a PDF, mentions Israel 55 times, more than the words “alt-right,” “fascism,” and “white supremacy” combined. It also calls Israel as a “white supremacist” state. “It was pretty covert. It bashes the university, so they don’t want the administration to get their hands on it,” the junior said over coffee and tea at a nearby café. The Curious Case of Mount CC’s Cancelled Cricket Tour to Israel. In July this year, Hafez continues, representatives of Mount CC undertook “a ‘fact-finding’ mission to Israel and the Palestinian territories” with a view to arranging a friendly match against a team from the Israel Cricket Association later in the year. While in Israel they visited Al-Aqsa Mosque. It seems the Muslim Public Affairs Committee ran their own hate campaign against Mount CC also (see photo above). It was MPAC’s Asghar Bukhari who once claimed ‘Zionists crept into my home and stole my shoe.’ Bukhari has called me a “filthy scumbag…because you think Muslim lives are less important than other peoples’ lives”. The photo circulated of Hanif Mayet, the club’s founder in 1976 and current Chairman, “posing outside the Peres Peace Centre in Tel Aviv fuelled more discontent” according to Hafez. On August 8th a club statement announced the tour had been cancelled. Australia – It is honest of Media Watch to pose the question that way. Let me answer it: Yes, it is a pattern, and yes, it is bias. The ABC is consistently biased against Israel in a similar way to the BBC and for similar reasons. The overwhelming majority of ABC reporters and general broadcast commentators share a fairly narrow spectrum of world view, ranging from the middle left of Labor to the green left. This is why the ABC finds it so difficult to come to grips with, or even understand, the complaints this kind of bias generates. Within their world view these ABC broadcasters mostly behave professionally, and in the field often with heroic distinction. But in that world view, as has been well established in countless books and studies, Israel represents, entirely falsely in my view, Western colonialism, militarism and racism. This gives reporters and producers an instinct never to represent Israel sympathetically. Jewish Israeli civilians (even victims of terrorism) are almost never portrayed sympathetically on the ABC, unless they are abusing their government or society. Then they are moral heroes. To humanise an innocent Jewish Israeli grandfather or child brutally murdered in their home by a terrorist seems somehow or other to be supportive of Israel, so it is rarely done. Danby in his ads was responding to this profound emotional truth. The ABC’s response to Danby’s criticisms is dismaying. It exhibits bullying, hubris and unchecked power. 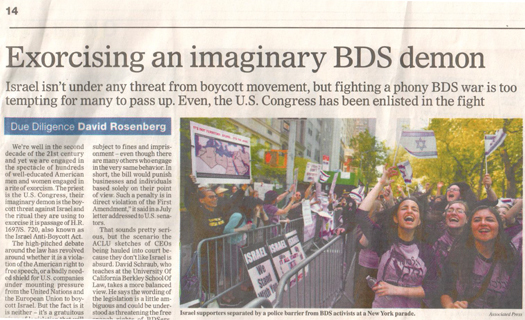 But the “BDS activists” are actually anti-BDS activists, as made clear in the original Associated Press caption. Pro-tip: if you’re going to accuse someone of “hollow bravery,” post your hit piece when the subject can respond. Lest anyone call you, or your organization, cowards. Blatant, obvious cowards. A note before we continue: I beg for your indulgence, as it’ll take a few paragraphs to lay appropriate character foundations; it’s important to know who is accusing Ben Shapiro of “hollow bravery” before addressing the qualms directly. Goes to relevance. Firstly, lemme state that I (note the byline) do not personally know Ben Shapiro. Nor — it’s clear — does Jane Coaston, the author of the aforementioned OpEd in The New York Times. As of the writing of this post, Ben Shapiro and I have never spoken. What I know of Ben is from what I’ve gleaned through his debates and speeches (on campus, network news appearances, stand alone YouTube videos), his OpEds and essays posted on across the net (Brietbart.com, Dailywire.com, NationalReview.com, etc), and his Twitter account. When Jews say, “Never Again,” they are referring to the categorical imperative to prevent the emergence of a genocidal leader, and to speak out and take action in response to threats to ethnically cleanse or exterminate another people. The phrase is also a cry to study the past to understand how and why the Holocaust happened. Part of that education process is to accurately document the actions and experiences of bystanders, perpetrators and victims. This process is undermined when institutions such as San Diego’s Air & Space Museum whitewash the record of Nazi collaborators. While researching the Sachsenhausen concentration camp that was located just outside of Berlin, I discovered that thousands of slave laborers were forced to work for the Heinkel aircraft manufacturing company. When I began to research the Heinkel company I found a biography of the founder Ernst Heinkel on the website of the San Diego Air & Space Museum. I was somewhat shocked to find that he had been selected for their International Air and Space Hall of Fame. The entry lauded him as a “renowned aircraft and engine designer” who was “especially successful in the design and production of civilian and military aircraft for Germany.” It mentions the late 1930s as a “particularly fruitful period in which he was instrumental in the development of jet engines.” The biography mentions several specific planes he designed, including the world’s first jet airplane. Here are some of the facts the museum left out of its biography. That “particularly fruitful period” of Heinkel’s career was during Hitler’s buildup of the German air force, the Luftwaffe, led by Hermann Göring. Those innovative creations were used to attack and bomb Allied troops. Residents of the Pennsylvania towns of East Greenville, Red Hill and Pennsburg have been targeted by a personalized mailing campaign operated by white supremacist groups, the Huffington Post reported Thursday. Resident received in the mail flyers that depict various cartoons: in one of them, a man of color is shown robbing a Caucasian man and brandishing a knife. The caption reads “Multicultural USA – Feeling Enriched?”. In another, a massive ominous ‘Jew’ is shown as a puppet master saying Israel is an American ally and that it should receive 38 billion USD in aid. The caption reads “Give me control of a nation’s money – and I care not who makes its’ laws,” a statement which was allegedly uttered by Mayer Rothschild, although there is no historic evidence to support the claim that the founder of the banking dynasty ever said this. East Greenville Police Chief Andrew Skelton stated that various households were singled out in the mailing campaign. A man who has the American flag displayed on his front lawn was categorized as a “proud American.” A resident who enjoys gardening was categorized as an “intrepid gardener” – causing police to believe that the culprits behind the campaign were scouting out the town and observing residents. Chief Skelton stated that while the incident was disturbing, it was not a crime. A sukkah erected on the campus of Kansas State University was damaged by severe weather and not vandalism as first reported. The sukkah was found bent, destroyed and wrapped around a car on the night of Oct.6. It was initially believed that the sukkah had been vandalized, since its pieces were found around the car of organizer Glen Buickerood, a graduate student who works on diversity initiatives at the school and who is not Jewish. The campus Hillel had purchased the sukkah. The Wichita Eagle on Friday reported that the Kansas State University Police Department determined that the damage to the sukkah was caused by the weather, including thunderstorms, heavy rain and high winds, and not vandalism. Other cars also were damaged in the storm. After an endless barrage of reality television shows has inundated our screens in recent years, finally kibbutz volunteers have been given their 15 minutes of fame, as the Kibbutz Movement is now seeking a suitable location for filming a new BBC reality show. “I was contacted by the BBC six months ago. They asked us to help them locate a kibbutz where they can film a reality show for Israel’s 70 Independence Day,” described Kibbutz Movement Director of the Volunteer Program Center Aya Sagi. The British network’s officials explained to their Israeli liaisons they have started searching for 10 British Jews, of all ages and positions, to reflect the true diversity of British Jewry and participate in the program. A BBC delegate even arrived to Israel recently, explaining the reality show’s needs to her local contacts and taking location scouting tours with people in the Kibbutz Movement. “The network needs a kibbutz that can place at least 10 rooms at the volunteers’ disposal, and other rooms for production and filming crew who’ll accompany contestants,” the Movement stressed. Following the location scouting, it was decided the show will most likely be filmed on location in a Jezreel Valley or Megiddo kibbutz. Landing in Israel was an experience like no other. I’d heard about the feeling of arriving at Ben Gurion from friends and colleagues I have met since founding the Pakistan Israel Alliance, but I certainly didn’t expect it to feel like this. I was arriving early as a guest speaker of the IDC Herzliya Counter Terrorism Conference, and was the “advance party” as part of the Zionist Federation’s ground-breaking Muslim delegation to Israel. Our group was in Israel from Thursday night until Monday afternoon. We saw many incredible things. We visited the Western Wall, prayed at Al Aqsa, met with Israel’s first Bedouin diplomat and learnt of the Druze engagement with the IDF. We travelled from Jerusalem to Tel Aviv, visiting the site of Israel’s declaration of independence, went to the north of Israel and saw the changing demographic and environment, and spent the Shabbat hosted at a wonderful community in Jerusalem, Kol Haneshama, and by a fantastic spokesperson for the country in the form of a Jerusalem city councillor Fleur Hassan-Nahoum and her family. This was my first visit to Israel, and came off the back of much hard work by the Zionist Federation to build links with the Pakistani Muslim community in the UK. A team of seven aid workers from Israeli humanitarian aid organization IsraAID are working in evacuation centers in California after the worst series of blazes in the state’s history. Since the fires broke out almost a week ago, 40 people have been killed, 5,700 homes and businesses destroyed, and 100,000 people evacuated throughout the Napa Valley region. Even now, firefighters are struggling to control blazes that are racing towards new communities. The Israeli team began work in Santa Rosa, California last week, and is helping to coordinate and provide relief supplies and stress management to the affected community. “The situation on the ground is overwhelming and the need for both physical and emotional support is urgent. The loss of lives, houses and the news about Camp Newman are hard to digest,” said Yotam Politzer, co-CEO of IsraAID.